With the technology development and progress on the production of aluminum, the advantages of A-alloy will be magnified such as the increasing production and marketing. 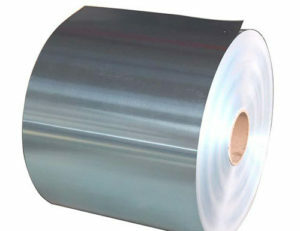 In the A-alloy productions, the demanding of aluminum sheet and belt is also increasing on the big stuffs like spaceships, airplanes, aircraft carriers while the small things like food cases, tags and cellphones and elsewhere. Following are the classification of A-alloy which is classified by the content of elements. Pure Al 1 in which the content of aluminum is above 99.00% is with good performance on electroconductibility, conductivity on heat and corrosion resistance. A-alloy 2 in which the content of copper is the main element is with good performance on cutability, high intensity, but low corrosion resistance. The A-alloy 3 in which the manganese is the main element is with high intensity, good corrosion resistance and also, the conductivity on heat is better than the one of pure Al 1. A-alloy 4 which mainly contains silicon is with good heat resistance and wear-resisting. A-alloy 5 which mainly contains magnesium is with medium intensity, corrosion resistance and good welding character. A-alloy 6 in which the main elements are magnesium and silicon and the strength phase being the Mg2Si is with great medium intensity structure alloy and good welding character and processability. A-alloy 7 which mainly contains zinc has high intensity, corrosion resistance but low welding character. It is good to applied in high intensity materials. A-alloy 8 in which the main elements are other alloy elements are mainly used on aluminium sheet and bottle cap etc. This entry was posted in Aluminum Sheet and tagged aluminium alloy. Bookmark the permalink.